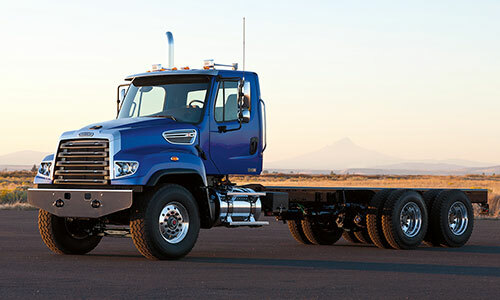 Designed for power, safety, efficiency and functionality, Freightliner® severe-duty crane trucks are ready for the heavy lifting. 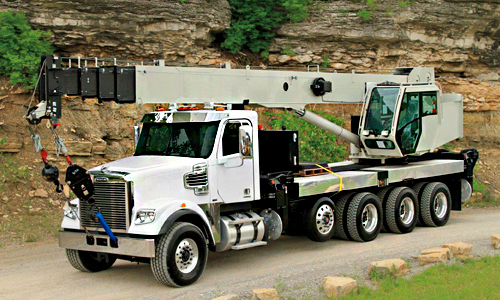 High-tensile-strength frames support and handle 45-ton mobile cranes with booms and outriggers, while safely lifting heavy loads across a wide range of efficient, high-torque engines, severe-duty vocational suspensions and tandem- or tridem-drive axles. 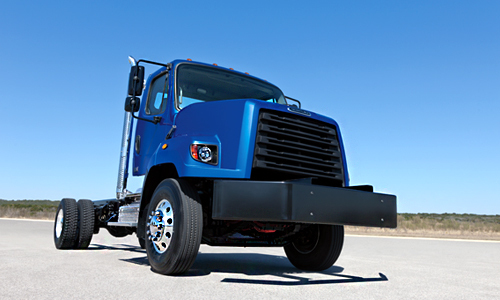 With even weight distribution, a variety of PTO options, and excellent visibility and control, Freightliner severe-duty crane trucks are optimized for crane applications and designed to outperform the competition. 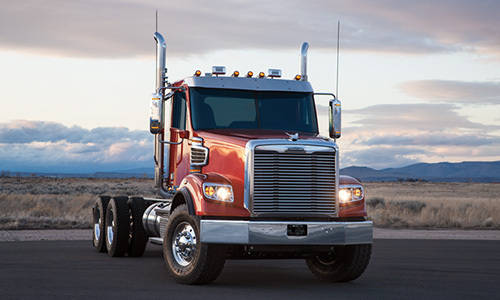 When evaluating crane trucks for purchase, consider Freightliner—the industry-wide leader in commercial truck technology and engineering.